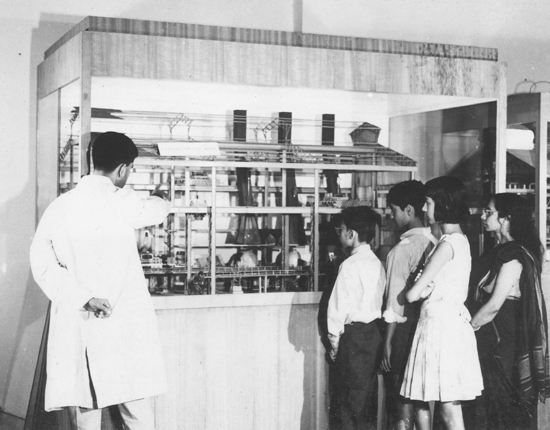 Established on 2nd May 1959 under the administrative control of the Council of Scientific & Industrial Research (CSIR), Birla Industrial & Technological Museum in Kolkata is widely regarded as the mother of science museum movement in India. 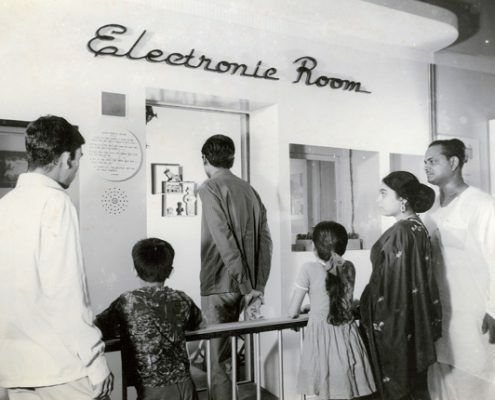 The idea behind this pioneering initiative came from Dr. B C Roy, the then Chief Minister of West Bengal who after visiting the Deutsches Museum in Munich was inspired to create a similar institution in India for public engagement with science & technology. 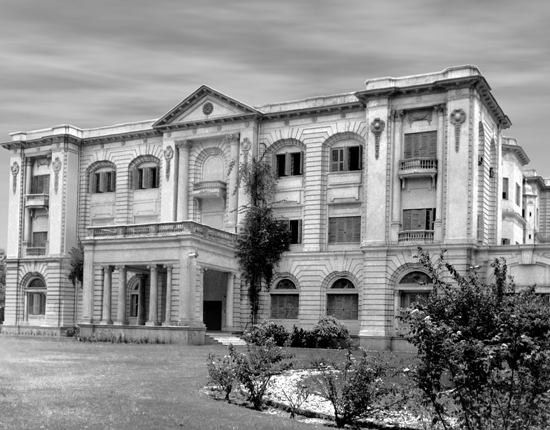 His vision and efforts in this regard found instant support and patronage from the likes of PanditJawharlal Nehru, the then Prime Minister of India, and industrialist Shri G D Birla.The latter donated the Birla Park, his sprawling bungalow and the adjoining plot of land in the upscale Ballygunge area of Calcutta, to CSIR for setting up an Industrial and Technological Museum. 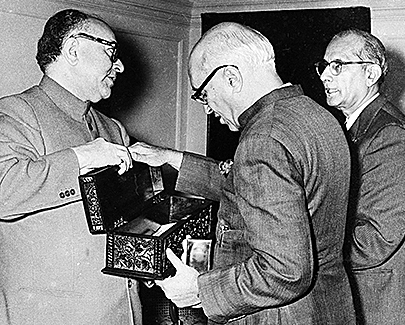 Pandit Nehru received this magnanimous gift from Shri G D Birla in 1956. Starting with the taking over of the Birla Park in 1956 by the Govt. of India to the Museum’s inauguration in 1959, the journey was quite eventful and challenging. 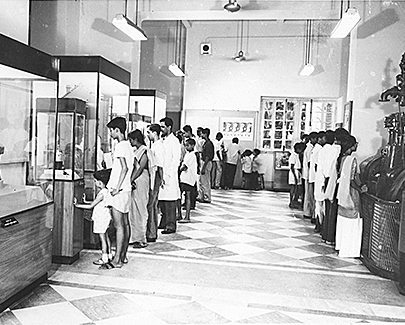 Careful planning and painstaking efforts by the museum’s planning committee that was headed by Dr. B C Roy himself and included a host of renowned scientists, educationists and industrialists ultimately resulted in the formation of India’s first science museum under the ambit of the central government. 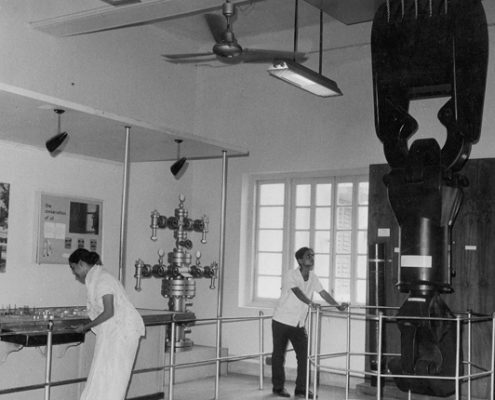 The Birla Industrial & Technological Museum, popular by its acronym BITM, was opened to the public on 2nd May, 1959 by Prof.HumayunKabir, the then union minister for scientific research and cultural affairs in the presence of Dr. B C Roy, Prof. M S Thacker, the then Director General of CSIR, and Shri. A Bose, Planning Officer of BITM. 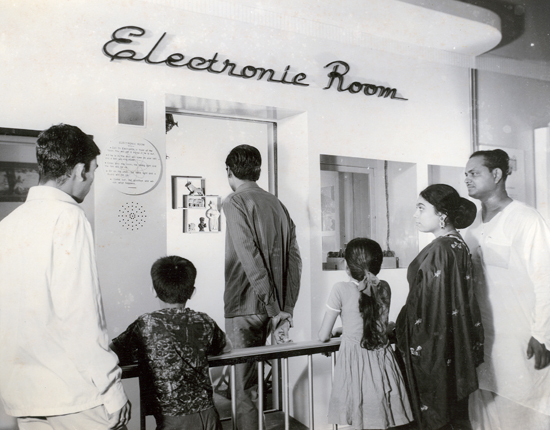 To start with, BITM had galleries on Electricity, Petroleum, Nuclear Physics, Metallurgy of Iron, Steel & Copper, Optics, Electronics and Television. 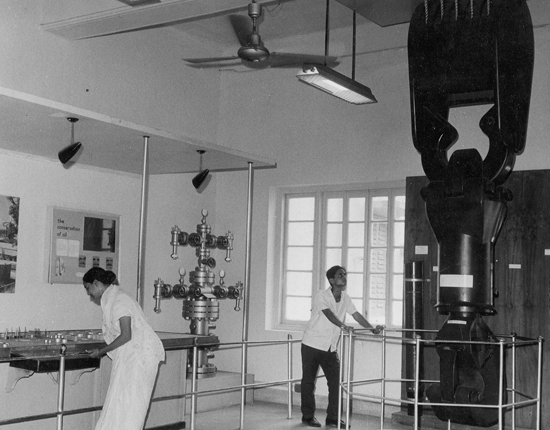 Subsequently, many new galleries came up one by one, namely, Motive Power (1962), Communication (1963), Mining (1964), Popular Science (1965), Transport (1973), Underground Mock-up Coal Mine (1983), Atom (1984). 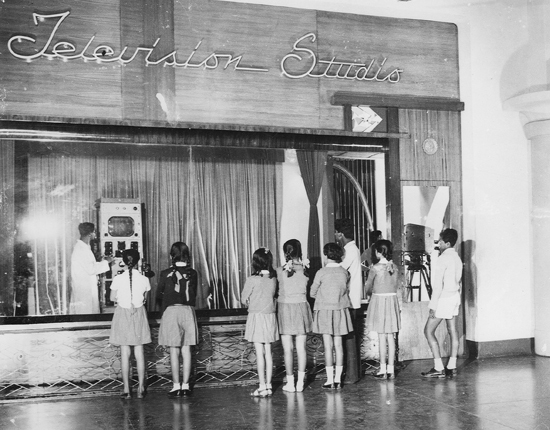 But with the passing of time, many of these old galleries have either been thoroughly renovated or replaced with new galleries in keeping with the changing public expectation from BITM. 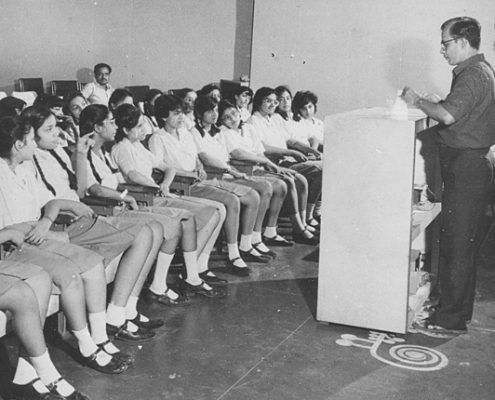 From the very beginning BITM started conducting in-museum educational activities like Popular Lectures and Film Shows. 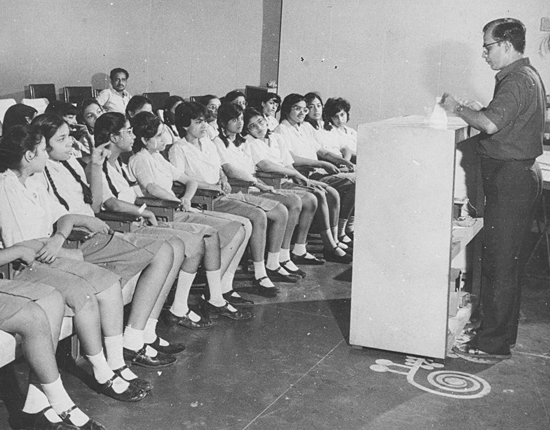 Science Demonstration Lectures (SDL) for students became a feature of BITM from 1965. 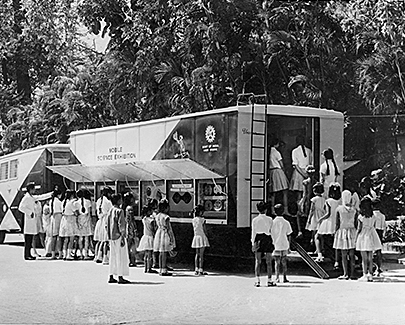 The same year also saw the launching of the first ever Mobile Science Exhibition (MSE) on wheels by BITM on the theme ‘Our Familiar Electricity’. 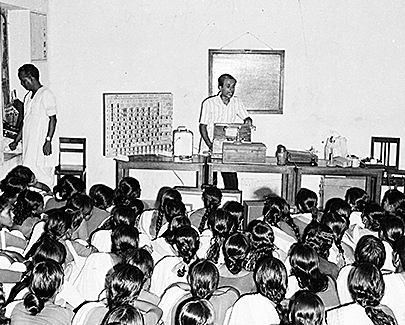 BITM started organizing ‘Science Fair’ for students from 1968 and the same year, the first Teachers’ Training Programme (TTP) was launched. 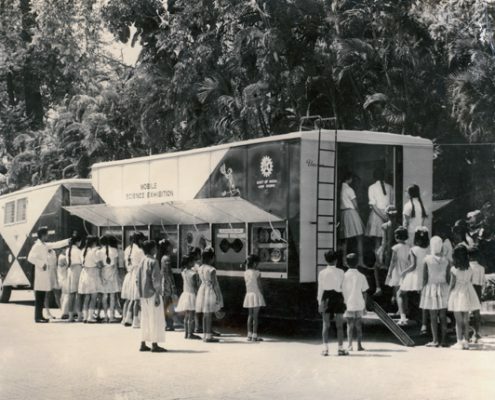 Over the years, a host of other in-museum and outreach educational programmes and activities were added that included Creative Ability Centres (CAC), Computer Awareness Programmes, Engineering Fair, Pet Library, Inflatable Dome Planetarium Show, Public Science Shows, Students’ Science Seminar, Science Drama, Vacation Hobby Camps, and many more. Presently, BITM has 12 educative as well as interactive galleries including a special gallery for the sightless people entitled ‘World in Darkness’. Now BITM organizes a plethora of educational programmes throughout the year and regularly conducts highly exciting science shows and demonstrations on daily basis. 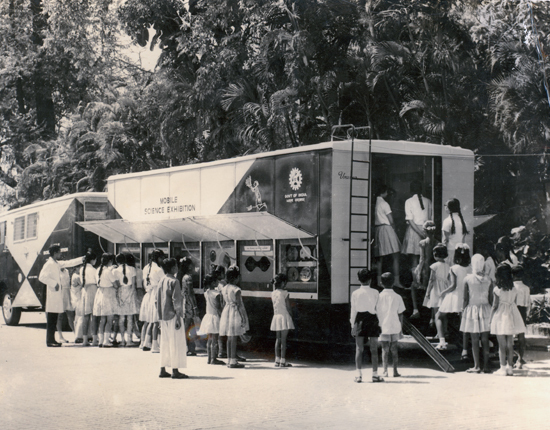 The establishment of BITM in 1959 and its growing popularity with the public in general and the student community in particular gradually snowballed into what is now a nationwide network of science museums and science centres under the National Council of Science Museums (NCSM). 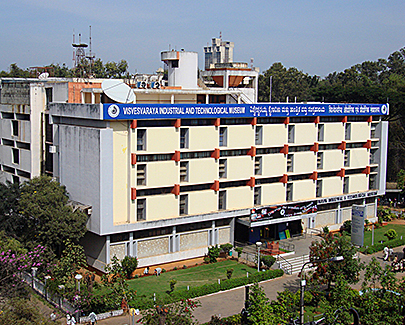 In 1964, the BITM team was given the responsibility of setting up the Visvesvaraya Industrial & Technological Museum (VITM) at Bangalore which opened to the public in 1965 and became the second in the chain under CSIR. 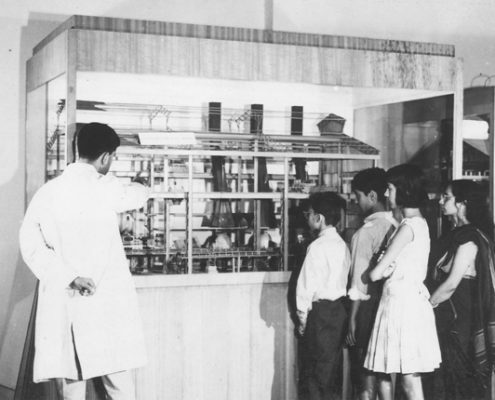 When the work for the next venture at Bombay (later to be named Nehru Science Centre) got underway,the Planning Commission of India constituted a Task Force in 1973 to assess the activities of the science museums under CSIR and recommend future course of their growth. 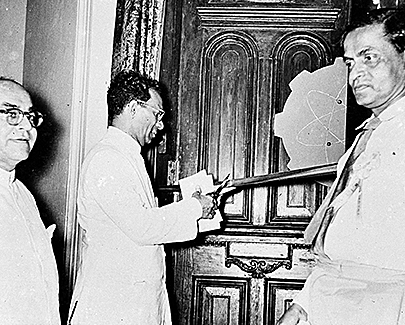 The Task Force saw an immense potential for science museums in universalizing non-formal science education and creation of scientific temper in the country. It recommended that science museums be set up all over the country in a three-tier network-national, regional and district- and accordingly suggested that a nodal agency be formed to spearhead this massive growth plan and to coordinate the activities of the science museums. 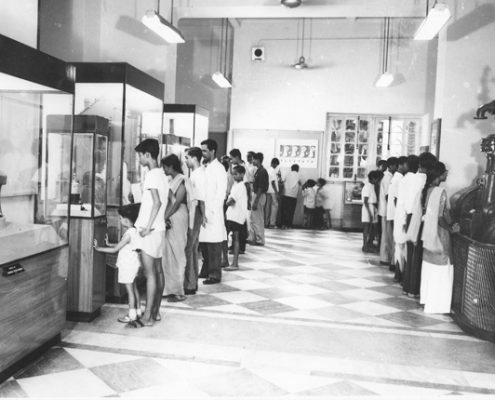 Consequently, on 4th April 1978, the National Council of Science Museums (NCSM) was formed and the two existing museums, namely, BITM (Calcutta) and VITM (Bangalore) was delinked from CSIR and put under NCSM’s control. Today the NCSM network has 25 science museums and science centres spread all over the country of which eight operates under the administrative control of BITM. 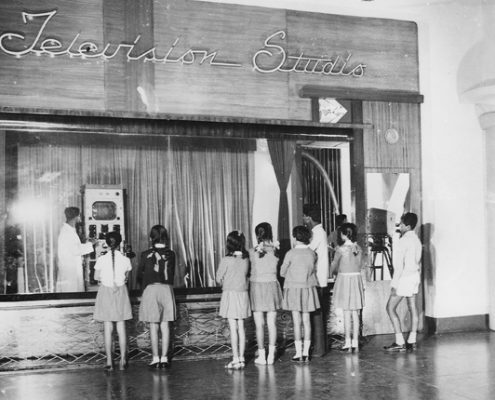 The premise of Birla Industrial & Technological Museum, now 19A, Gurusaday Road, was known as 18, Ballygunge Store Road before 1919. Record shows that the Tagores purchased it from Mirza Abdul Karim in 1898. Meera Devi, the fourth of Rabindranath Tagore’s five children, spent a large part of her childhood in this house. 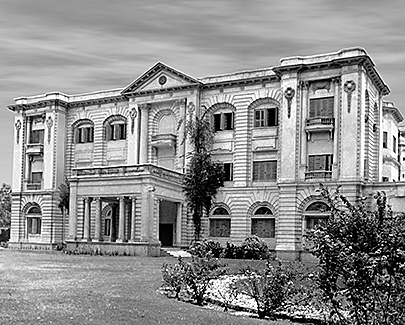 From Surendranath Tagore, G.D. Birla bought the property in 1919 and thereafter came to be known as Birla Park. After the Birlas took over the property, there were major changes. 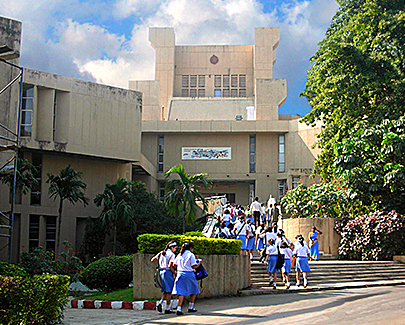 The house used by the Tagores was pulled down and architects N. Guin& Co. were called upon to design the main building structure as we see today. It is a colonial adaptation of a mixture of various styles of European Architecture. During the time of the Tagores, many important luminaries from the field of arts visited the place including overseas guests like the famous Japanese artists KakuzoOkakura, Yokoyama, Tikan, Hishida and Katusta. 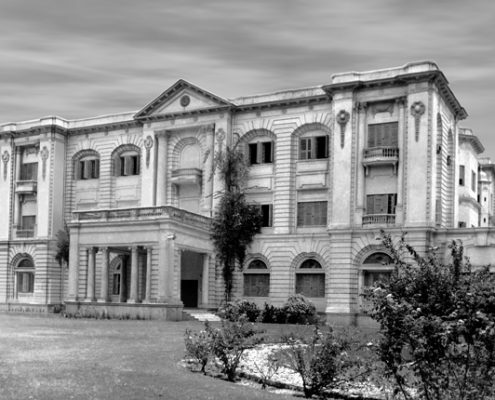 The guest list of the Tagores also included nationalist leaders of the time like C R Das, Aurobindo Ghosh, Surendranath Banerjee, Rasbehari Ghosh and Anandamohan Sen.
With the Birlas as the new owners, 19A, Gurusaday Road (Birla Park) continued to be a very special address for the nationalist movement of India. 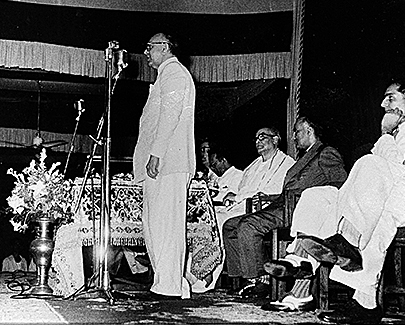 G D Birla’s close association with the nationalist leaders brought to Birla Park leaders like Mahatma Gandhi, Motilal Nehru, LalaLajpatRai, and Pundit Madan Mohan Malaviya. 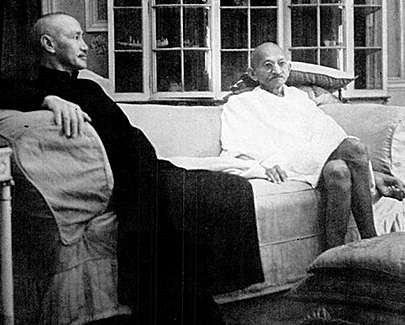 It was here in Birla Park that Chiang Kai-Shek met Mahatma Gandhi.